Famous Southern gentleman and author Mark Twain once said, “write what you know.” I don’t know a lot, but I’ve lived in Mississippi my entire life and I love learning new things about my wonderful state. Mississippi has a rich history going back to 1541 when Hernando de Soto first discovered the Mississippi River on behalf of Spain. War, murder, and nation changing events have all happened here along with the quiet and mundane happenings of everyday life. The minutia of history and the real stories of people fascinate me and always have. Stories of the South is my ongoing series where I explore the untold or forgotten stories around me. I have over 40 entries currently and have a binder full of inspiration for probably that many or more. Maybe you’ll learn something that will help you appreciate and fall in love with my little corner of the world. Growing up I showed horses, and with showing comes travel. I was lucky to have a pretty nice pony, then a pretty nice horse, two indulgent parents, and cheap diesel. One of my favorite places to run was at the Monroe County Riding Club area in Prairie, MS. On the way to the pen you would ride through what was left of the little town. There's not much there anymore and less today even than when I was a kid. At least when I was younger the big, old, frame store buildings were still there but those had been town down when I rode through there in May of 2014. The most notable thing about Prairie to me, is that in World War II it was the home of the Gulf Ordnance Plant. 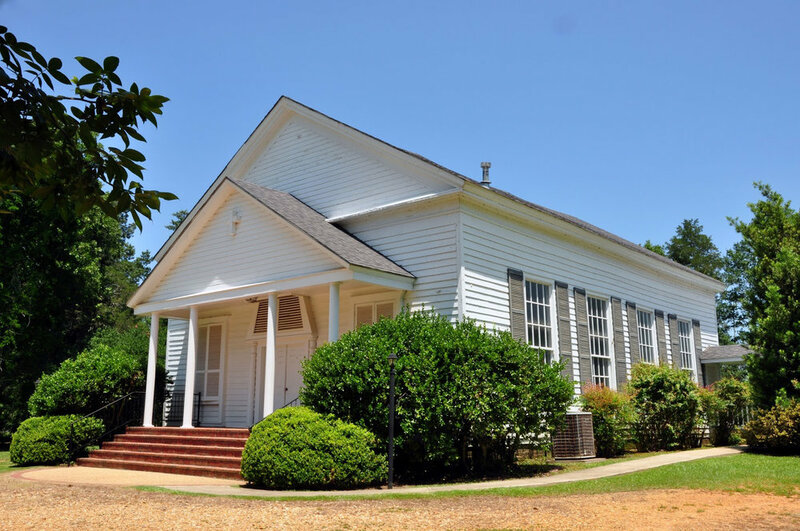 Cooksville United Methodist Church was established in 1834 and the present church building was built in 1846. To place that in history Mississippi had only been a state since December 10, 1817, James A. Polk was the 11th President, and the Civil Would would not start until 1861 twenty seven years later. On a hot day last summer I went on a little adventure. I knew the area I wanted to investigate was on a gravel road so I waited until I felt sure the threat of mud and getting stuck was no longer a worry and on the way back from Louisville one day I turned off highway 14 toward Mashulaville on the hunt for the site of the Dancing Rabbit Creek Treaty located in rural Noxubee County. On June 28,1928 a commemorative marker was placed by the Bernard Romans chapter of the Daughters of the American Revolution of Columbus, Mississippi. Complete List of Stories of the South Essays - Click on each title to be taken directly to the entry! Most will go back to my Hickory Ridge Studio blog at this time. Thanks!